If you or a loved one is unable to get out of the house due to age, health issues, or disabilities, our home health check service could be a huge benefit. Basically, we will visit you and have a twenty-minute face-to-face interaction. During this visit, we will give you medication reminders and talk to you about any health concerns you may be having. If you have any questions, this is a great time to ask us. For example, if you have been having more headaches than normal or if you are feeling more fatigued, we can help you find a solution. Another way we can help you maintain your health is through exercise. Regular physical activity is crucial to a healthy lifestyle. This can boost numerous aspects of your health. Exercise stimulates the brain, promotes better physical health, boosts your immune system, helps make you feel happier, and helps prevent many serious and life-threatening health conditions. 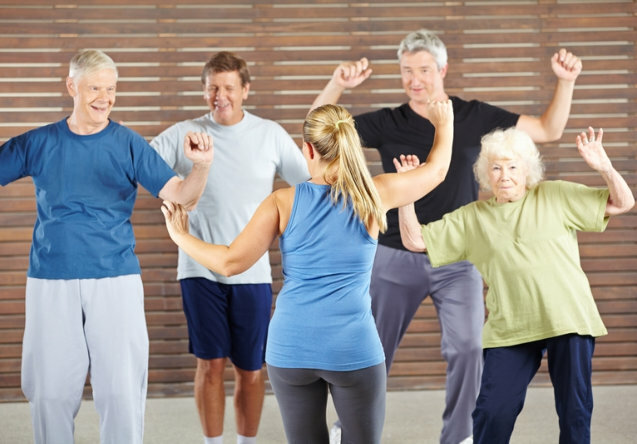 To receive the full benefits of your workouts, you will want to exercise for at least thirty minutes a day for five days a week and our caregivers are here to provide you the helping hand you deserve, to ensure you can exercise effectively and safely. We are here to help you live a better life at home and our health care agency in Ohio is dedicated to providing you with the compassionate services you deserve. If you would like to find out more about what we can do to help you live a healthier life or about or many other services, please get in touch with Ontime Home Health Care Staffing Agency LLC anytime. This entry was posted in Health Care and tagged disabilities, Exercise, health issues, Home Health Checks, medication. Bookmark the permalink.